Clarins Instant Lip Comfort Oil Review: Does It Deliver Results? Clarins Instant Light Lip Comfort Oil gives the lip ultimate hydration to prevent chapped and cracked lips. 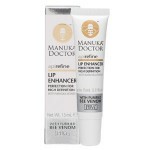 It smoothens lips and gives it a shine for a plump look. This product comes with a lip applicator that follows the contour of your lips for easy application. By giving moisture to the lips, it softens the lips and gives it a voluminous look. This Clarins Instant Lip Comfort Oil Review will give you an idea if this product is the right one for you. One of the core values of Clarins is innovating the present to create the future technology. They put research and development at the top of their list to stay ahead of the game against their competitors and give their clients the most advanced skin care product that boosts skin health. With this value at the top of their priorities, they have managed to be one of the best skin care manufacturing company in the world. 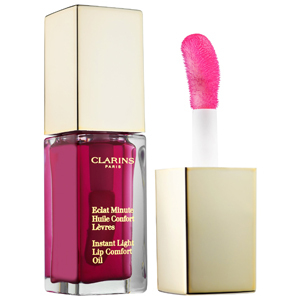 To benefit from Clarins Instant Light Lip Comfort Oil, apply a thin layer over the lips. You can use this by it or as a lipstick primer. You can also apply a layer of this to your favorite lipstick shade to give it a glossy, shiny finish. Jojoba Seed Oil: This oil gives the lips excellent moisture to prevent dry and chapped lips. Plum Oil: This oil helps reduce irritation and add moisture to the lips. Hazelnut Oil: This oil is rich in antioxidant that gives a layer of protection to your lips to help prevent premature skin aging. This product comes with a contoured applicator that facilitates easy use. 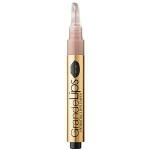 It hydrates the lips and gives it a plump and voluminous shiny look. This product can also be used as a lip primer. This product has a light color tint. This moisturizing lip oi feels a little heavy and sticky. Some users have found the scent of this product a little overwhelming. 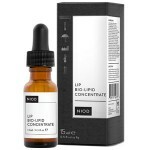 This lip comfort oil is a popular product that has many verified reviews online. 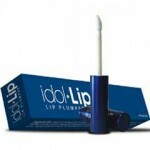 Many users have enjoyed the benefits of a shiny and plump lip while using this. However, you may want to define what you want from your lip oil to before deciding. Although many users have expressed their fondness for this product, a few users have found it to have a sticky and greasy feel. It gives a glossy shine but does not leave a smooth feel. Also, some people have found the scent of this oil to be a little overwhelming. You can purchase this product from their official website for $26. Each bottle with a contoured applicator contains .1oz of comforting lip oil. Lastly, this product is quite expensive. Overall, we strongly recommend you look for other lip oil that is not as expensive and has a better consistency than this one. If you are not satisfied with Clarins Instant Light Lip Comfort Oil that you bought from their official website, you may return it to them up to 30 days from the date of purchase. Only unopened products are eligible for a refund. The trend towards full, plump lips has certainly gained in popularity over the last few years due, in part, to a number of celebrities sporting this look. Rather than opting for sometimes risky and often expensive cosmetic injections, consumers are seeking safer ways of increasing their lip size. While the results from these more natural methods are not usually as impressive or long lasting as injection treatments, they are certainly safer and many of the products also have other benefits for the lips in terms of conditioning and adding color. Many consumers also like the ‘tingling’ sensation these products impart which is due to the circulation-boosting ingredients used in the formulas such as menthol and eucalyptus. Below you’ll find some of the most effective Lip Plumper formulations on the market today, in our opinion.